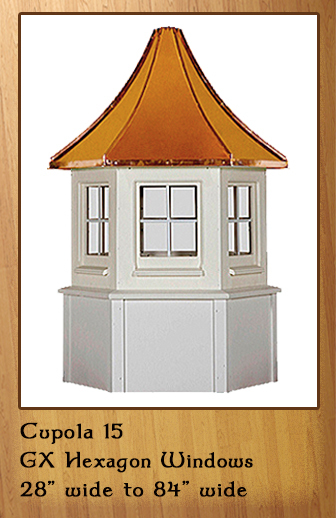 Choose from our dazzling window cupola selection. 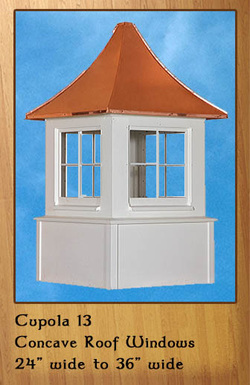 ​The CNC Window cupola seen on the left is one of our most popular styles. 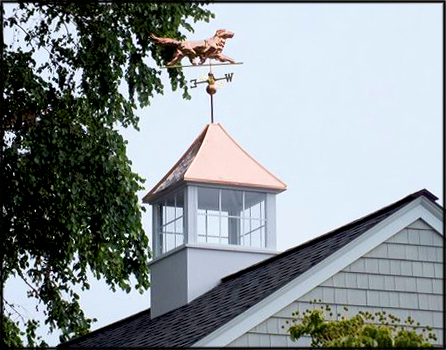 Let our "Cupola Specialists" guide you in choosing the perfect cupola for your roof. 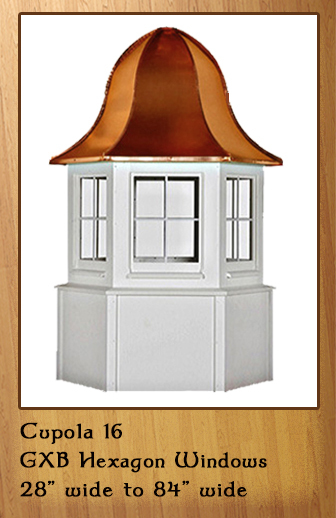 The most important thing in buying a Cupola is to make sure that it is large enough. Revolutionize Your Roof. Double windows and a Straight or Concave Roof. 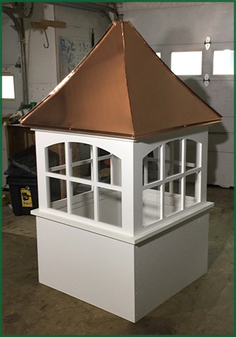 Thicker window trim and corner trim on the base. 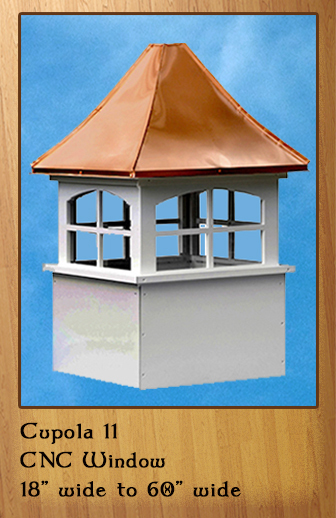 Straight or Concave roofs available. ​Call 866-400-1776. 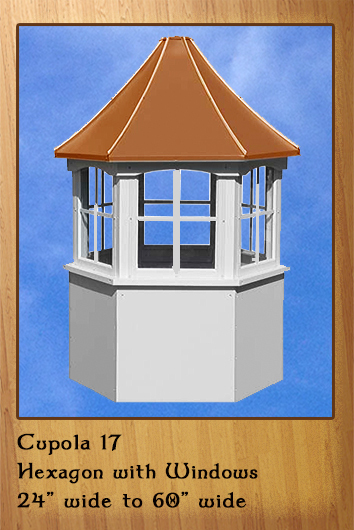 A sophisticated Hexagon with Windows style cupola. 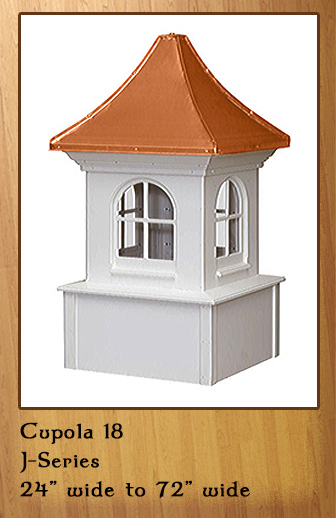 Now add a Bell shaped roof for added style. 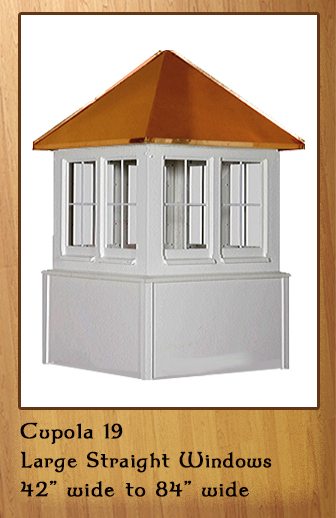 Double Windows give an elegant look to these large Window style cupolas. Call 866-400-1776. 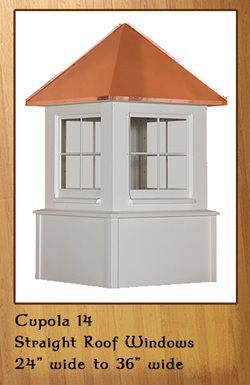 Eyelid arch trim over the windows. ​Call 866-400-1776. Arched windows, custom molding, extended drip rails. Add any of these beautiful finials to our cupolas. 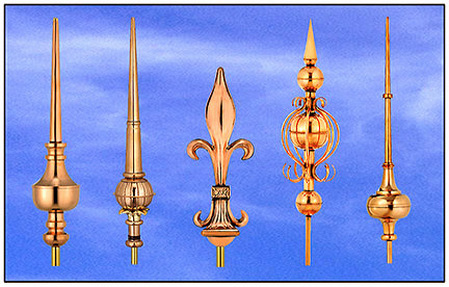 Copper finials will add an air of elegance to any cupola. 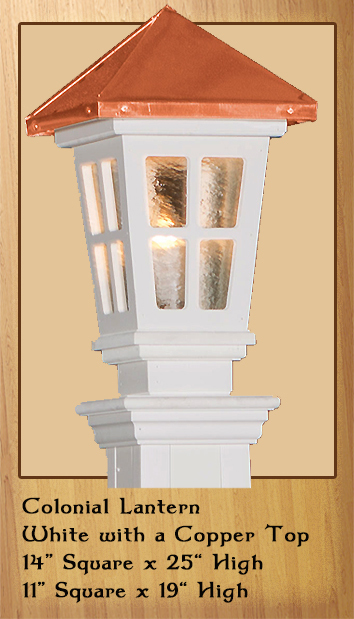 Also, look at the Lanterns below. 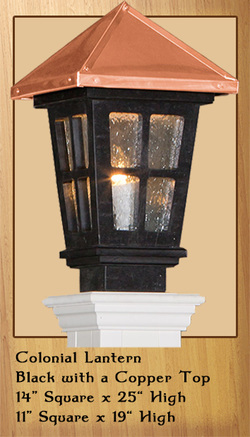 A Lantern will make your window cupola really stand out as it shines all night. ​This photo shows the versatilty of the CNC Window style vinyl cupola. 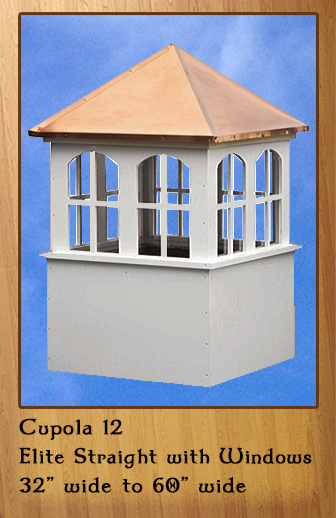 Here you can see a 48" CNC WIndow cupola with straight windows and a 39" Morgana Finial. 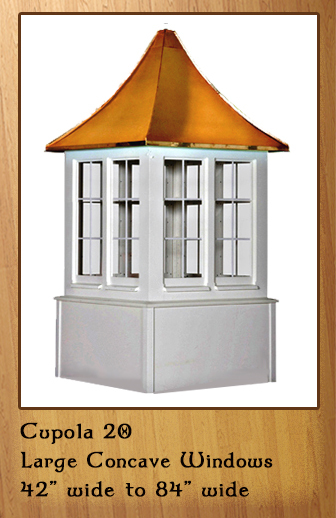 The cupola really enhances the elegance of this magnificent home. 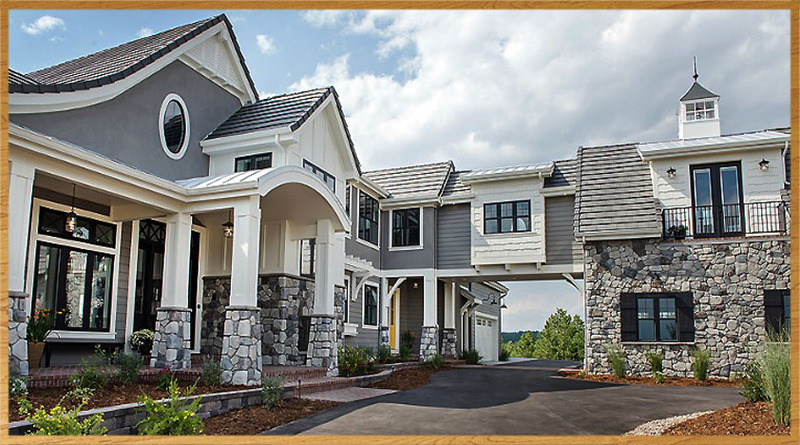 ​In the left photo is shown a 30" Carlisle on a 24' roof with horizontal Shiplap trim on the base. 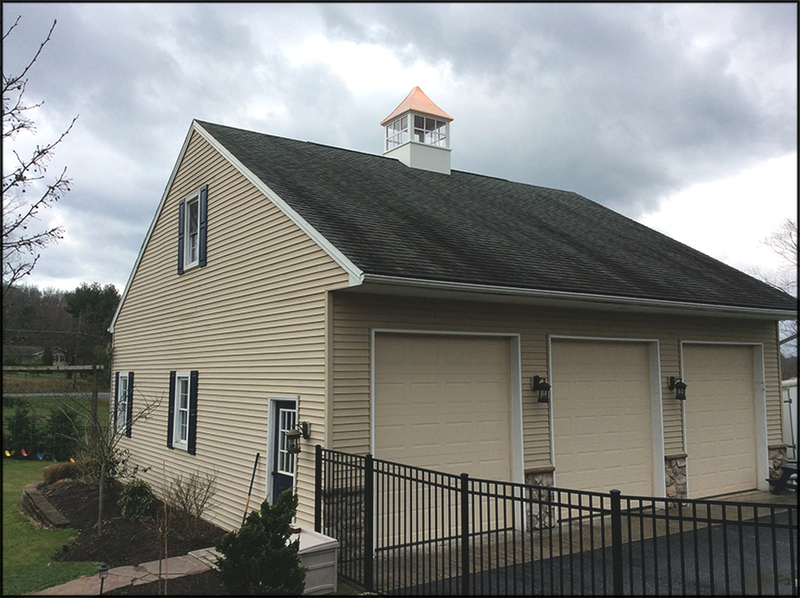 In the photo above you can see a 42" Vinyl CNC Window with straight windows style cupola on a 36' three car garage. 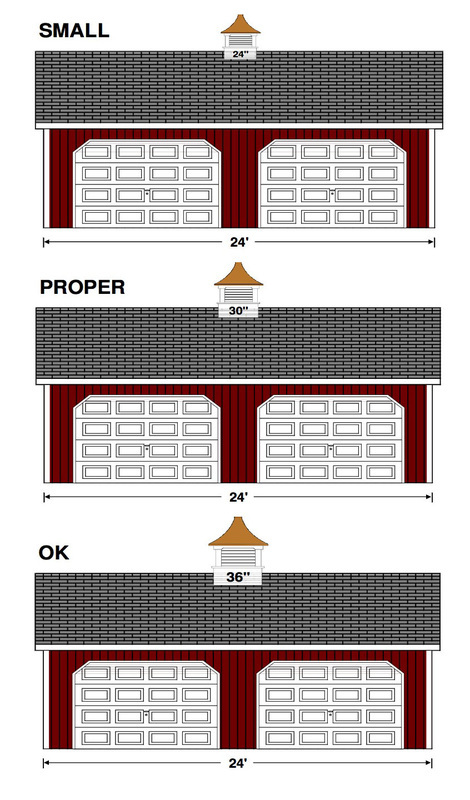 42" width is recommended for a three car garage. 30" CNC Window on a 24' two car garage. 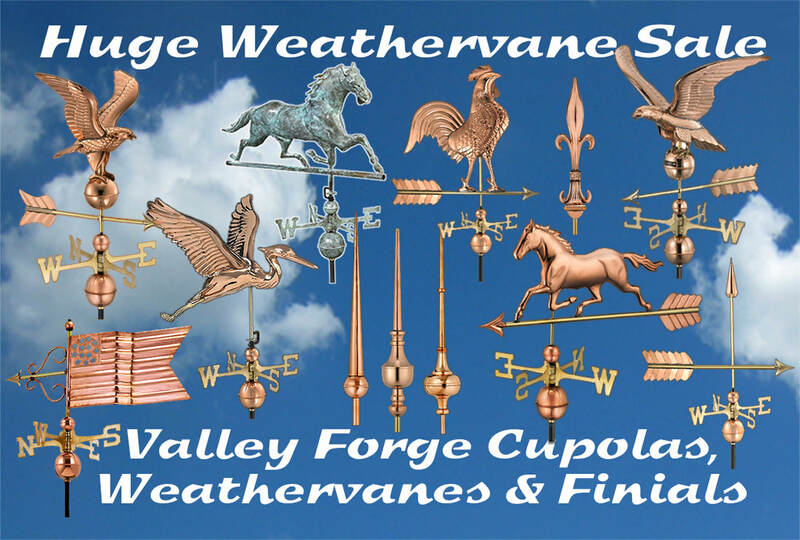 Also shown is the 9635P Pineapple Copper Weathervane.